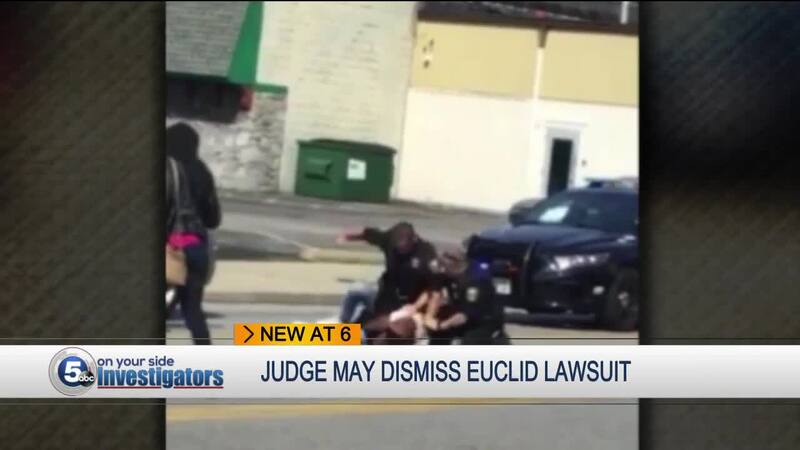 EUCLID, Ohio — A federal judge may dismiss a civil right lawsuit filed against a Euclid police officer who repeatedly punched a driver during a traffic stop because the driver’s attorney failed to appear at a scheduled meeting and missed a filing deadline. In an order released Friday, U.S. District Judge Dan Polster wrote Richard Hubbard III’s attorney, Christopher McNeal, did not show up at a status conference yesterday and failed to discuss a case management plan with attorneys for the City of Euclid. Polster will determine whether he will dismiss the case during an evidentiary hearing schedule for 9 am on December 19. My official comment is that there was a scheduling snafu and some problems with my email server which culminated in me missing a court date. These types of issues happen all of the time in the course of litigation. I’m confident that once the appropriate information is provided at Wednesday’s hearing, the case shall continue. McNeal filed the lawsuit against Officer Michael Amiott and the City of Euclid in September. In the complaint, McNeal asks Hubbard for $3.8 million, the amount a jury awarded Rodney King related to his beating at the hands of Los Angeles officers in 1991. A video of Amiott punching Hubbard in August 2017 went viral and highlighted concerns about the Euclid police department’s use of force practices. As a result, Euclid’s mayor fired Amiott, but an arbitrator awarded him his job back in October, with conditions, including additional training and supervision. In November, an exclusive 5 On Your Side investigation revealed serious red flags related to officers’ use of force. It was discovered that 20 percent of officers, including Amiott, were responsible for more than 80 percent of reported uses of force during a two-and-a half year period.